Sprinkle both sides of chicken breasts with seasoning to taste. Cut/Shred cooked chicken into small pieces, set aside in small bowl. Combine shredded cheeses into a small bowl, set aside. Empty enchilada sauce into large bowl, set aside. Wrap tortillas in a moist paper towel and microwave for 1 minute to steam. Dip one warm corn tortilla into the enchilada sauce, coat both sides. Cover the bottom of a 13 x 9 baking dish with dipped tortillas (approx 4). Layer in the shredded/diced chicken on top of the tortillas. Layer in the cheeses on top of the chicken. 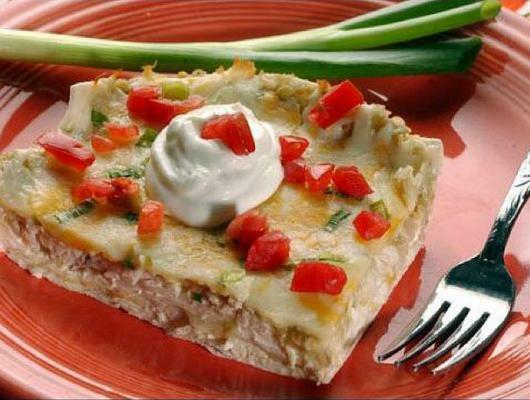 Repeat layering dipped tortillas, chicken and cheese until baking dish is full. Finish with a layer of dipped tortillas topped with a layer of cheese. Bake at 350 degrees for 30-40 minutes or until cheese is melted. 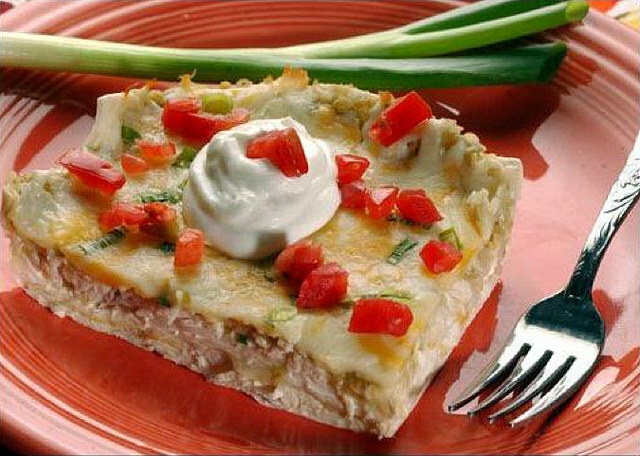 Top with your choice of sour cream, guacamole, diced tomatoes and/or chopped green onions. This is a very easy way to prepare a tasty Mexican dish. All the flavor of enchiladas without the hassle of prep. A favorite of my children and leftovers are tasty the next day and easily microwavable!